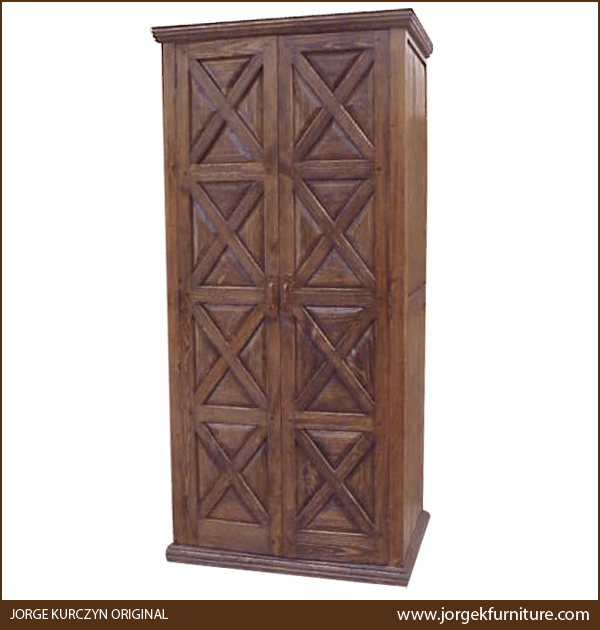 This handcrafted, Spanish colonial style armoire has a narrow, graceful design, which makes it a versatile, interior design option for your home décor. The armoire features two, large, rectangular doors, and each door is embellished with large, square cut, crossed, diagonal designs. 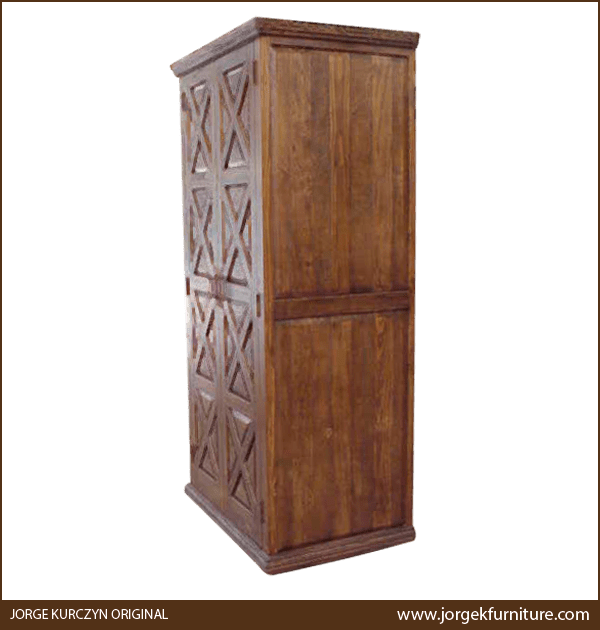 The armoire has clean, straight lines on the top and on the bottom, and each lateral side of the armoire is enhanced with rectangular cut designs. It has a lovely, antique finish, and it rest on a solid wood, molding base. Inside the doors is ample space that can be customized with diverse, shelving designs. The armoire is made with the best, sustainable, solid wood available. It is 100% customizable.